Here at Projects Abroad, we greatly value our older volunteers, who have a wealth of skills and life experience to share in communities where their help is much-needed! However, career-breakers and retirees may be unsure about whether volunteering abroad is really for them, so I decided to interview two of our former volunteers and find out what they had to say. Jill has taken multiple trips with us – exploring new cultures, offering her time and energy, and learning new skills. 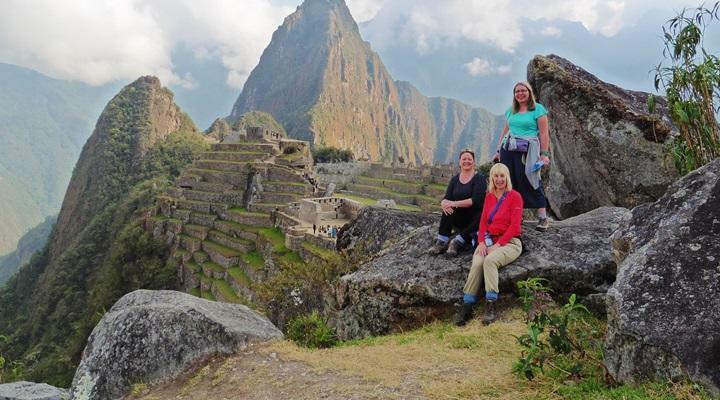 Sheena, meanwhile, recently took a two-week trip to Peru on a Care & Community Grown-up Special. They both generously took the time to answer my questions, telling us about their experiences abroad and their advice for older volunteers looking to join a Projects Abroad placement. What made you decide to take a volunteer trip abroad? Jill: I don't think I had "volunteering" in mind when I signed up to go to Senegal with Projects Abroad, but I knew little of this country, I wanted to go somewhere warm and although I speak fairly good French, I thought this would be a way I could improve. I have been a host to many students from other countries, so I was interested to see how I would feel sharing life with my host family in a country where the culture is very different, and I would learn more about the role of a host mother from a different perspective. Sheena: I always had the urge to do something like this and when I was younger, around the time of leaving school, there weren’t the same opportunities. Why did you choose a Projects Abroad Grown-up Special? And what attracted you to the specific project you chose? Sheena: Following some time spent researching organisations, Projects Abroad stood out because of the Grown-up Special, which other organisations didn't offer. Even though I’m young at heart, I did also want to have an experience with a guaranteed group of people of the same age. As soon as I saw the specific project, it was exactly what appealed to me - Peru (and the Sacred Valley) was a place I had always wanted to visit but in reality didn't think I would get there. Furthermore, Care & Community was a perfect project for me. What were the reactions from friends/family when you told them? Jill: I don't think my family or friends raised eyebrows at my going. I am a very well-travelled person and nothing I do ever surprises anyone. Sheena: They didn't seem that surprised; there were initial concerns with regards safety but when I directed my partner and mother to the Projects Abroad site showing the risk assessments, etc. they were more at ease. Jill: I can truly say the month in Senegal was wonderful. I loved the dusty bustling town of St Louis, and found the locals friendly and curious as to why I was there with no husband. My host was a widow with six children ranging from twenty four to ten. She was lonely and liked me to keep her company. I had daily lessons with the headmaster of the local school, who was rather nonplussed as to what to teach me as he had never had a student who spoke French as well as I did, so I spent my time telling him of all my travels. Sheena: It was an amazing experience, especially living with a family as you really experienced the culture and absorbed the way of life. I thought the project was well-organised, and as a lone traveller having never done anything like this before it was comforting to be part of this project. Would you choose to go again? Jill: I have gone again – after my Senegal trip, I decided to go to Costa Rica and learn Spanish! This gave me an insight as to how my students who arrive with no English must feel, as my host family spoke no English. It was hard, so I do advise anyone to learn a bit of the country's language beforehand as at the beginning there were many amusing misunderstandings. Costa Rica was very different from Senegal. The lessons were very intensive and we were expected to learn 500 words by the end of the month. I think I learnt quite a bit of Spanish, as at the end of my stay I went alone to Nicaragua and coped very well. 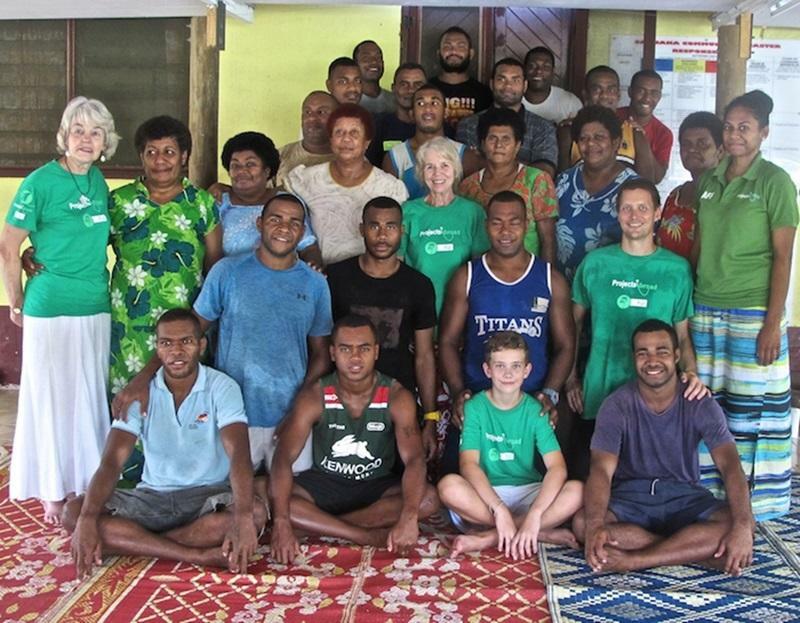 I realised that I hadn't really done true "volunteering" so my next experience was to go to be part of the Nutrition project in Fiji. This I felt was very worthwhile as their obesity leading to low life expectancy is a serious problem. My host had been totally opposed to my staying when she was told to expect a 70 year old, then even more horrified when she was told my friend of the same age would be coming too. However, a wonderful time was had by all. With the lure of South America still in me, I went earlier this year to Cochabamba in Bolivia. Here my Spanish grammar seemed to have deserted me, but I managed to throw together enough odd words to make myself understood and enjoyed using my skills as a journalist to work on the Cochabanner, a local English magazine. Sheena: Definitely, and the Grown -up Special is appealing because you’re sharing a project with people of a similar age. Furthermore, in your spare time you can also share similar experiences rather than being with volunteers who could be over 30 years younger than you and have a different view of what constitutes a good time. What would you tell others of a similar age who are considering this kind of trip? Jill: I would certainly encourage mature people to volunteer. I wish I had been able to do so while younger as I am now finding there are places I want to visit, but have been told 70 is the cut-off point with certain companies, and I have now gone over the limit. 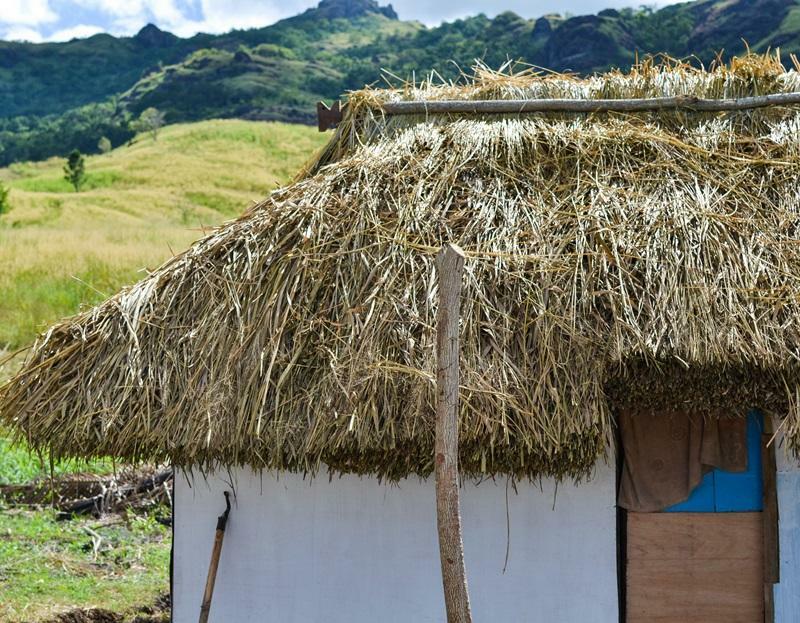 It is a wonderful way to immerse oneself in the country's culture and volunteers are extremely well looked after by host families and Project Abroad staff. The only hard part for me was that I could never leave the house with "See you later" as I was always expected to give an exact time I would return. But I suppose this is very sensible as many volunteers are young and host mothers are carefully chosen for their qualities which include caring for their volunteers. *Editor’s note: Projects Abroad has no upper age cut-off point for our programmes! Sheena: Don't have any regrets by not doing it. As time got nearer to go I was a little anxious, having never travelled so far by myself. But I was also very excited, as I felt I was embarking on an adventure, but in a safe, controlled way with a reputable organisation. Are you an older volunteer looking for opportunities to take a trip abroad? We have a number of options available to suit your interests and needs! You can join one of our specially-designed Grown-up Specials, two week group trips for those aged 50 plus, or volunteer your skills as a professional. Our Standard Projects are also open to volunteers of all ages. Not sure what to choose? Feel free to contact us, and we can talk you through your options! Have you volunteered abroad? What would your advice be to older volunteers looking to do the same? Let us know in the comments section below.